Much like Odysseus’ ship ploughing through Mediterranean Sea, my rented white Toyota Corrolla sails along the navigable waters of I-75, heading straight toward my meeting with the dead. An exact simile, maybe not–but it’s the spirit of metaphor that counts. 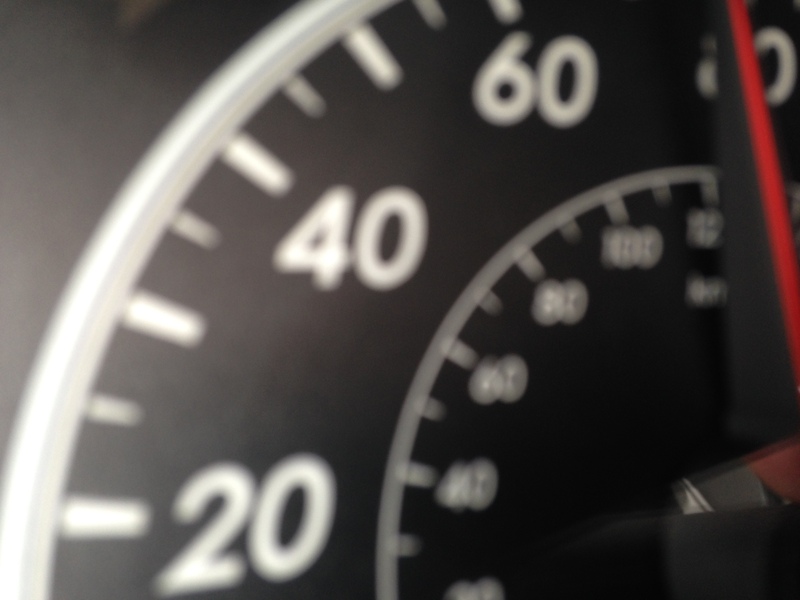 I took the above photo while driving near or right at the speed limit of 70 mph . . . I believe. Maybe it’s inching closer to 80 mph. I’m traveling to Lakeview Cemetery in Harbor Springs where my parents shadow the darkness of a northern underworld. 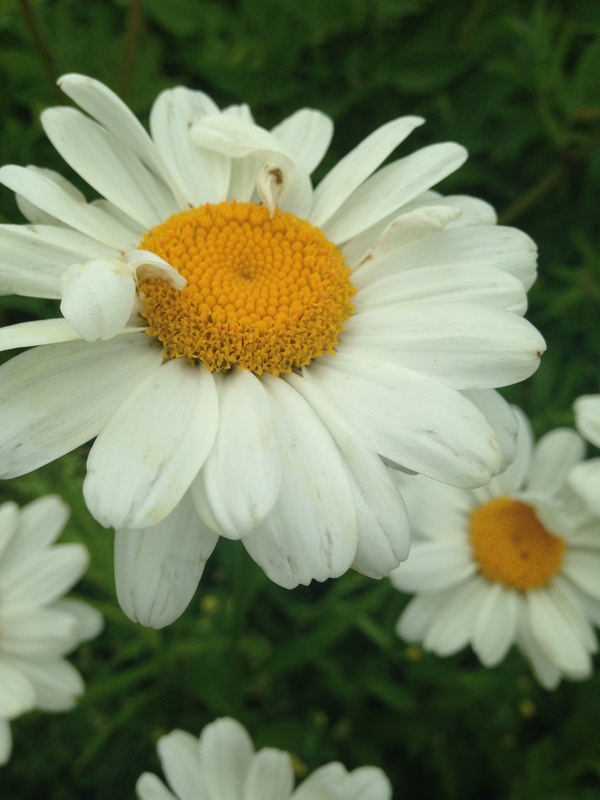 They died in January 2011, five days apart–my mother first, then my father. They loved each other desperately, my father said a day before he passed. My sister and I organized a double-funeral, open caskets and all as my parents wanted, though as we sat there we vowed to have our corpses cast into flames. Eventually, we sold the house and what had once been an annual event to travel to the Great North disappeared. I’m returning for the first time in two years. Rites must be honored. Along the way, nature provides a view of the beautiful and the living. Odysseus’ rest stops were a bit more entertaining or grueling depending on whether you mean Circe or Polyphemous, but I’m content with the middle way providing decent views of nature and clean bathrooms. No whirlpools along the highways of Michigan, no cannibals as along as I don’t get off the interstate, and sirens usually don’t hang out in the forests of the Midwest. Yet, there’s no avoiding danger when traveling to the underworld, and danger I find. I’m not saying it’s exactly like The Cattle of the Sun, certainly not, yet there are consequences for eating a certain type of beef. Remember Tiresias’ words to Odysseus (translated by Samuel Butler)? It happens north of Bay City. Exit 212, West Branch. I did not need to drive to the golden arches; I was not forced to speak into the air and order two cheeseburgers, fries and a coffee; I could have turned away and not paid money for this exchange . . . but I did. The Cattle of the Sun? No. 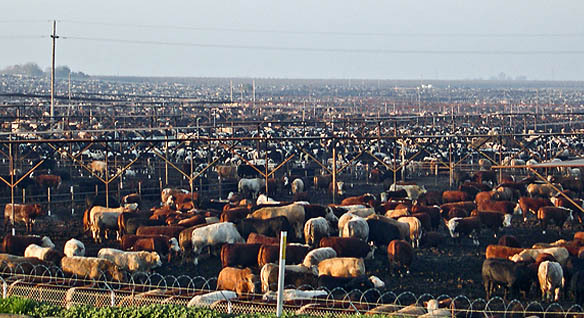 The Cattle of the Feedlots. 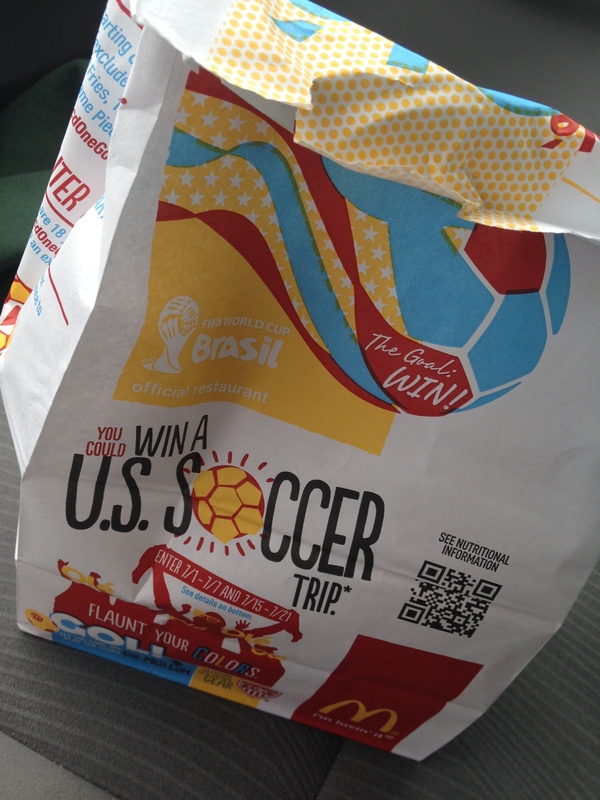 What’s inside the bright, white fantastic US Soccer bag? 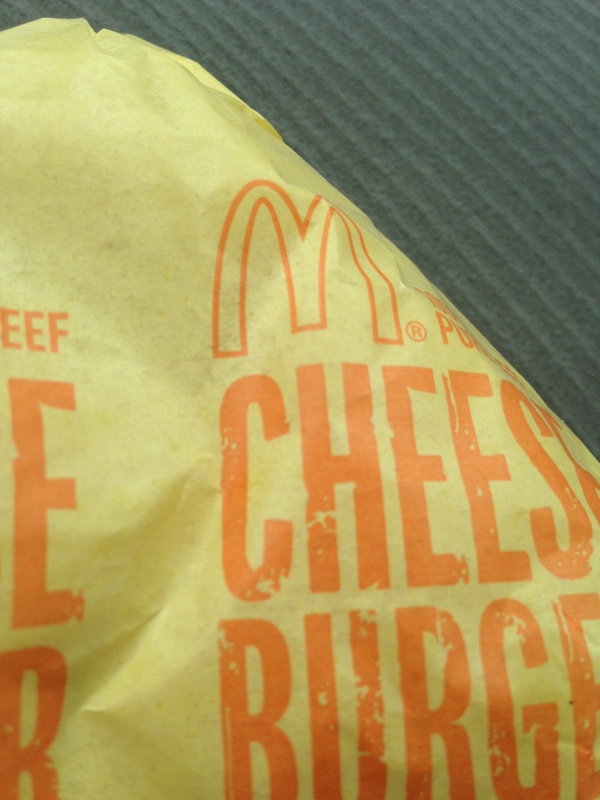 My damnation calls to me from the bright yellow wrapper around my cheeseburger, which after I peel off the packaging will not be as bright and blinding as the orange-yellow cheese melted to the beef of ten thousand sorrows, and yet how can I say no? I’ve traveled long and the Cattle of the Feedlots, well they are the only choice if I don’t want to starve (or have jerky, but that’s another tale). So I rip off the paper, yes, while driving, and sink my teeth into moans encircled by barbed wire. More than 34 million cattle are slaughtered each year in the United States (Food Enpowerment Project). Death hangs round the drive-thrus of this country, rubs its muzzle against our car windows, but we never see them. I taste the cheeseburger, that is I taste salt and protein, a cheese which I cannot place in the grounded reality of non-processed cheese, and then there’s the beef. No taste of cattle, no taste of blood, rather an absence of everything we call beef or cattle. I taste the fries. And somehow the cattle become cheeseburger (and a number of bovines are ground together to produce that patty) taste like the potatoes used to make the ubiquitous fries. How and why? I’m left with salt and something fried. Well, okay and corn and petroleum. 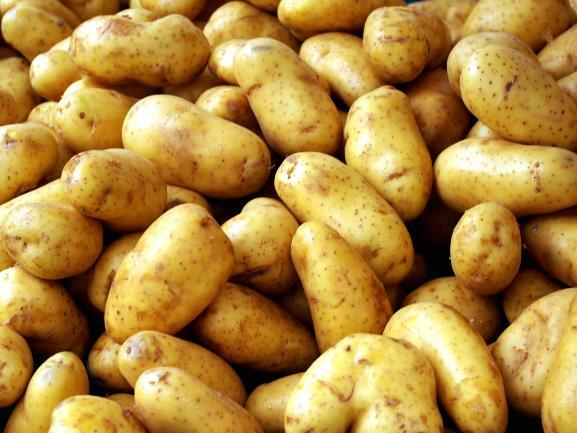 Animal and starch have become one. Truly, we are clever. Clearly, my tongue, digestive tract, conscience and the gods will not forgive me. I must repent. I must cleanse the sins of my gut. I drive into Harbor Springs. a breathtaking view of Little Traverse Bay, continue onto main street, park the car, and walk to Gurney’s for a bottle of wine. Following the dictates of where I am, I ask the proprietor for a Michigan wine recommendation. 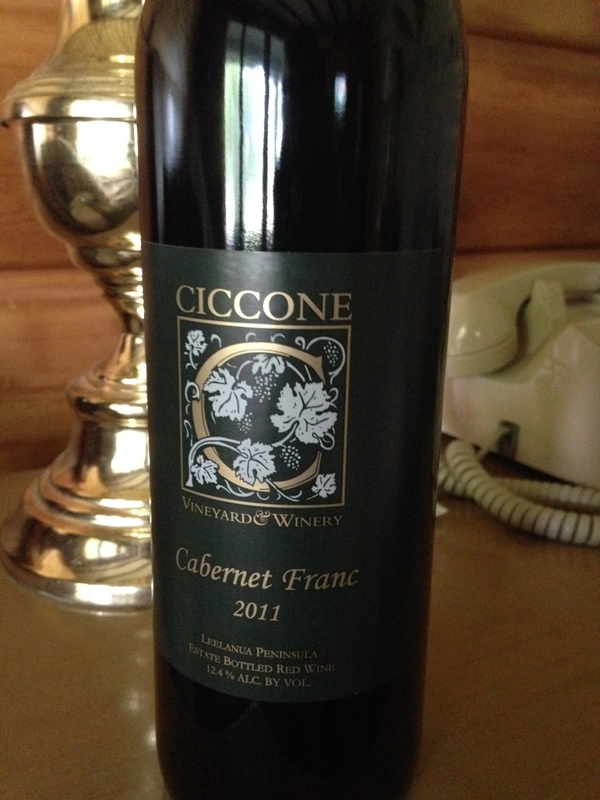 After asserting that I’m a dry over sweet kind of guy, he recommends a Ciccone Cabernet Franc 2011. And yes the Ciccone family who run this vineyard includes the father and stepmother of Madonna, and yes I find that rather mythical. Time for a flashback. I drive myself and this bottle to my room at the Birchwood Inn, where I stayed twenty hers ago for my sister’s wedding, and near where my parents’ house still stands, deposit my bag, and open the wine. Situated on the Leelanau Peninsula, which places the vineyard between Lake Michigan and West Traverse Bay, favorable winds, full experience of the seasons, and excellent soil health crafts a particularly hardy wine. The Leelanau Peninsula overall impresses with its twenty-five vineyards–a major wine region in Michigan. Time to drink. No glass, only plastic. A ruby color glistens as I hold the wine up to the light. Bringing my nose close, I smell raspberry, and oak. I swirl once, twice, then lift to my mouth and taste. Nice–dark fruit, spice with a sweetness underneath, and a tartness, and rather surprisingly, a certain meatiness, stew meat. The finish is slightly sour. So here I am, north of the 45th parallel, in a hotel room drinking wine as I slice gorgonzola and salami, while watching France and Ecuador battle in the World Cup. Tomorrow, the dead. Oh yes. My lower back growls in pain. Apparently, my fifty year-old body complains about five hours of driving. Drink. Next morning, I pack up my bag, turn in the key, and drive to the grave. No knives and blood today, but red will be poured. 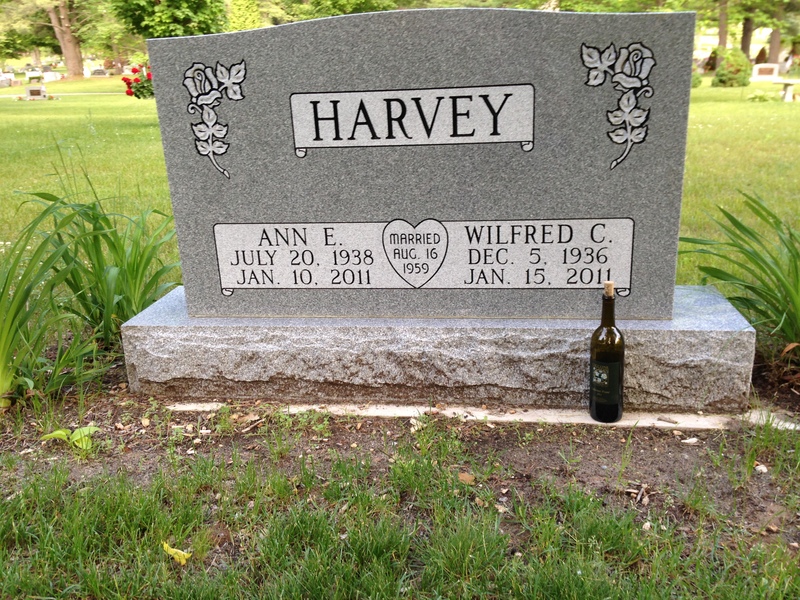 A wine, estate grown, next door to where my parents’ lived and died suffices to start a conversation. 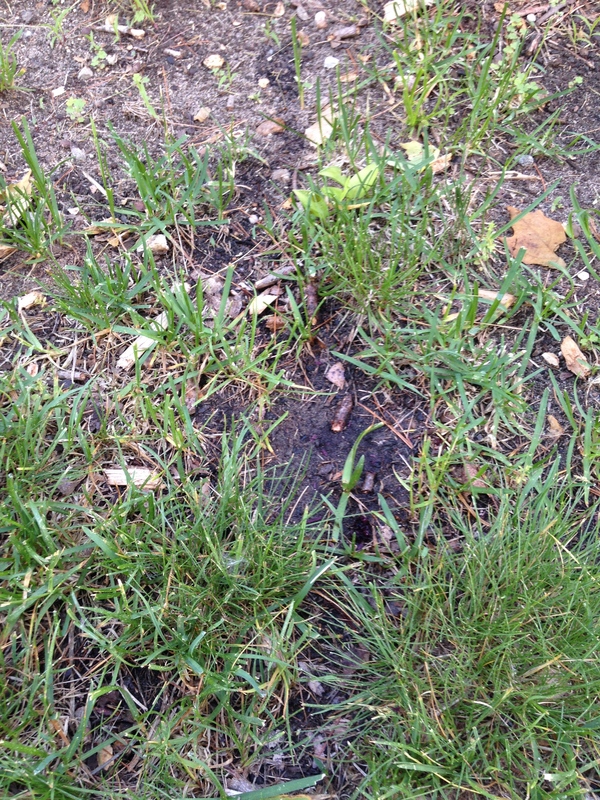 I pour dark red onto earth, above where they rest underground. Will they speak? I wait. Wind in the leaves, a seagull call, a lawnmower nearby, someone’s talking above ground, and then I hear them whispering to each other, my mother and father. They like the wine, though really they don’t have a taste for it anymore. They agree I look older, but healthy. My mother wonders if I’m going to bring flowers. My father’s happy to see me, so I begin to talk to them. They smile as I mention family and how we all are well. I tell them I will visit the St. Clair Power Plant where Nick works this week, and that Kelsey and Matt have celebrated their wedding anniversary. Demian conquers Minecraft and Gabriela had a recent scare with dizziness and shortness of breath, but she is fine. All the tests came back affirming she’s an incredibly healthy young woman. They ask, where will you go now? I tell them I’m going to visit the marina and walk to the water. They smile and remember their own walks there over the years. They begin to whisper again to each other, words that are for them and them alone, as I nod to the ground, walk back to the car, and drive to water. Katabasis. A trip to the underworld and a journey from the interior to the sea, or in this case, a bay off of Lake Michigan. A going down. 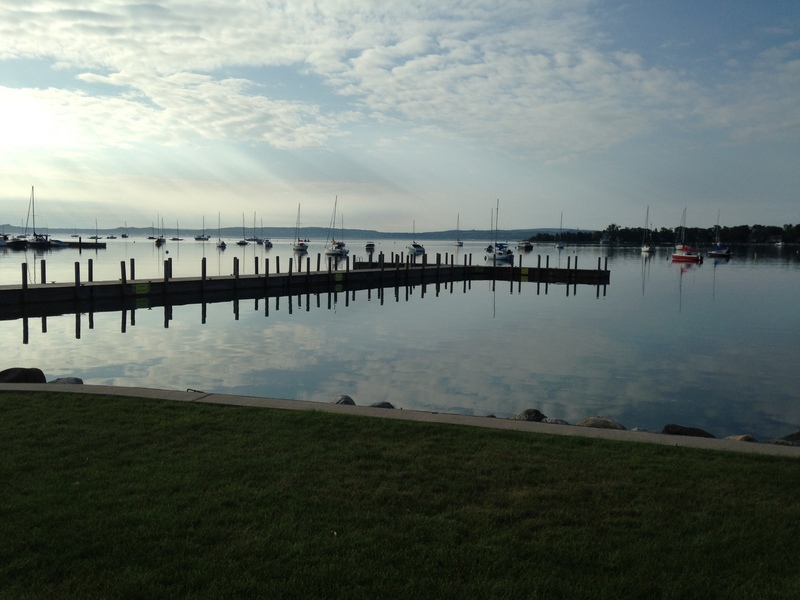 With my parents’ voices in my head I sit on a bench looking out over the Harbor Springs Marina, where my dad would rest and watch the sun light up sky, clouds and the water reflecting all in its glass. We are what we eat, love and remember. Every meal is an agricultural act. The dead are never far from us and like Odysseus meeting his mother in the darkness, we can never hold them again. Previous Previous post: From Monstrous Omelettes To A Giant Horse To Little Fish And A Dark Night Of The Gut.